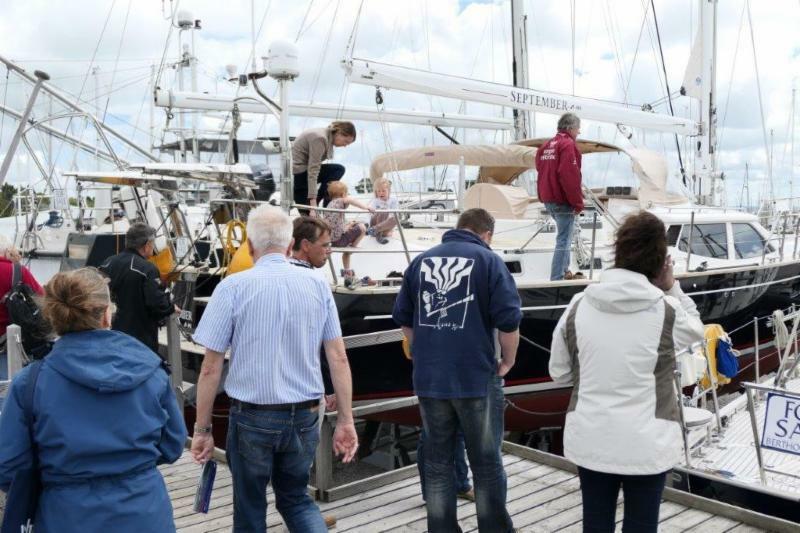 Over 150 eager cruising sailors joined the fourth edition of the Bluewater Weekend at Berthon Marina in Lymington on 20-21 May. Many were starting out on the first steps toward a long-term dream of live-aboard cruising, and speaking to those that have sailed thousands of miles all over the world provided an inspirational and thought-provoking weekend. Dockside conversations with previous ARC sailors, and the opportunity to climb on board their boats offered the chance to talk about the 'nuts and bolts' of turning a dream into reality. New Forest locals, Simon and Jean Stell attended the two-day event for the first time. "It was a most interesting weekend, both with the great seminars, and the opportunity to meet experienced live-aboard cruising people, who generously shared their vast knowledge of long term cruising. It was an invaluable opportunity for us to meet such nice and helpful people who were imparting their knowledge but also the folks we met over dinner and over coffee who were thinking and already planning similar ventures. All of this helped us to realise that we could possibly undertake something of this nature ourselves."